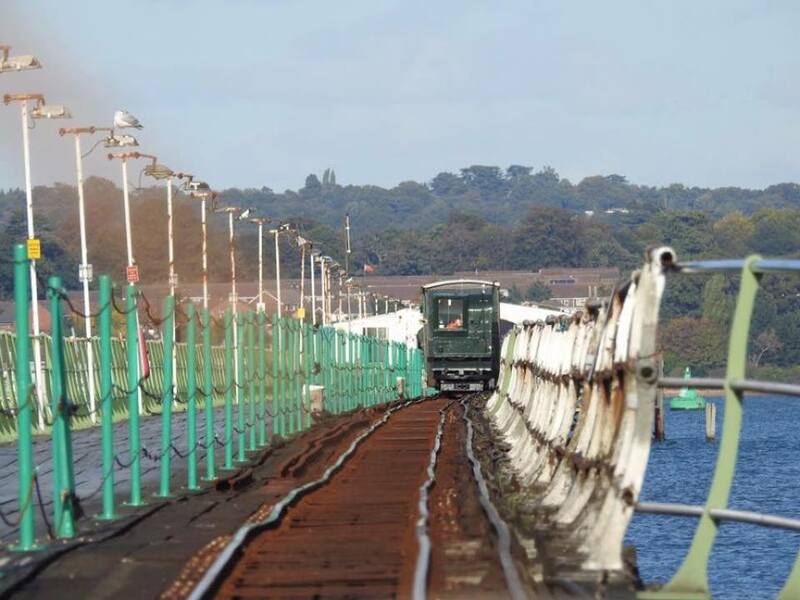 Southampton Independents: UPDATED: Save the Hythe to Southampton Ferry! "It's very important that the Hythe ferry keeps going because if it doesn't, we're going to have even more traffic and even more air pollution coming through our area." 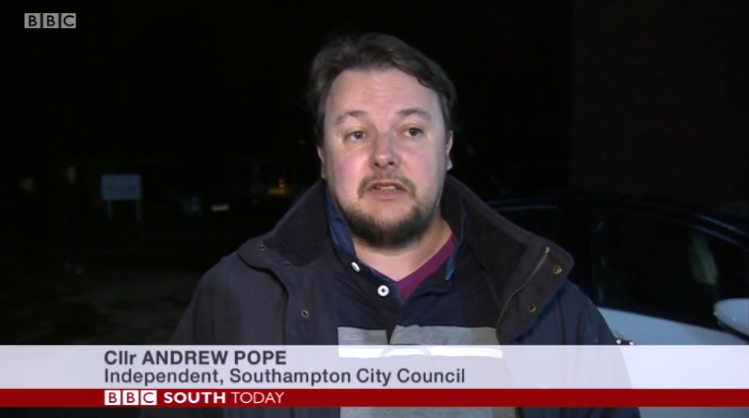 said Councillor Andrew Pope on BBC South Today on the late bulletin of 24th November. Andrew has sent the below letter to all cabinet members of the Southampotn City Council. The cabinet is the controlling body that makes decisions for the Council. Hopefully we will get a useful response. UPDATE (1st Dec 2016): NO OFFER OF FINANCIAL SUPPORT OR OTHER ASSISTANCE HAS BEEN MADE BY SOUTHAMPTON CITY COUNCIL, despite the urgent situation and my letter below. The only offer has been from the Leader Councillor Simon Letts to meet with any campaign group, an offer which I have indicated to the Leader of the Council that I may take up through my contacts and conversations I've had on the Hythe to Southampton Ferry. 1. Why do they ignore Southampton? 2. Are the "leaders" of that campaign group competent? 3. Do they think that the Hythe Ferry goes around in circles, and doesn't actually ever go to Southampton? It isn't the Hythe to Hythe Ferry!!!! Those under threat of redundancy on the Ferry, and those who use the Ferry, can't afford to wait to find out. Meanwhile, we Independent campaigners will continue our campaigning to improve air quality in Southampton and to reduce road traffic congestion. UPDATE: (7th Dec 2016) We are waiting for more answers from various councils, developers, groups, businesses and people. We also have several meetings planned. Meanwhile, the so-called "Action Group" seems to be foundering on its actions, despite the 90-day redundancy notices still being in force. It's all a bit secretive and slow, isn't it? Tell us what you think via our Contact Us page. Like the Councillor Andrew Pope page on Facebook or follow the @SaveHytheFerry or @CllrPope Twitter feeds for more on this campaign and all other Independent work. The Hythe to Southampton Ferry is under threat. I am concerned about the staff who have been issued a 90-day consultation on redundancies. I am concerned about the users of the service, both on the Waterside and Southampton sides. But most directly to the Redbridge ward and the people I represent, I am concerned about the decline and possible extinction of this service. I hope that you share these concerns. Yesterday evening, I attended a public meeting in Hythe to organise a campaign to save the Hythe Ferry. It was a packed hall. I was the only Southampton councillor present. A member of the public from Southampton asked whether the campaign had contacted Southampton City Council. It seemed from the response that they had not. Do you know of any contact please? I have offered my support, in person and in writing, and I am writing to you to ask what support the Council will now offer. I urge you to maximise the effort and funds for a sustainable service. A few weeks ago, I also asked the Leader and current Cabinet member for Transport for the reasoning behind the cut to the Hythe Ferry subsidy in the 2013 budget, as it was never explained to councillors at the time despite them being whipped to vote for it. I had no response from Cllr Rayment. I did have a half-useful from the Leader. The Leader was under the impression that the Hampshire subsidy is under threat. It was confirmed at the public meeting by the County Councillor for Hythe, Malcolm Wade, that it is not. What will Southampton City Council do to ensure that the Hythe Ferry cannot just survive, but to thrive?